I found J Rabbit relatively recently through their YouTube channel they share with their college friends. I had just finished going through all the videos when a couple of weeks later they announced the release of their first full-length album. J Rabbit is made up of J Dawoon and J Hyesung. The group uses a delightful variety of acoustic sounds from various instruments. They mix it up with piano, guitar, chimes, a little sand shaker to keep beat, and other various interesting instruments. I swear I hear a xylophone in there on Go Hard. The album opens up with the simple guitar and vocal of These Days You Are that gives you a great idea of what you’re in store for. Love is So Amazing is a plucky and fun tune that reminds me of old Saturday morning cartoons I watched as a kid. aMorejo is the acoustic version of the groups first single and it’s a beautiful song with a simple melody that will absolutely end up stuck in your head. I will admit I didn’t care to read the track listing so when I got down to Part of Your World while listening, I was completely surprised and laughed heartily out loud (at work). J Rabbit’s Part of Your World is indeed a cover of the original Disney song. I smiled and sang along happily to their lovely happy version of this song. I had a huge grin on my face the entire time I listened to this album. It’s such simple, happy music. The recordings aren’t perfect, you can hear giggling and bits of conversation throughout, but I think that is what gives this album it’s organic and unique flavor. They might sing Thank You For The Music, but I say, no girls, Thank YOU. I spent yesterday evening watching videos on friendz.net’s YouTube channel after you posted up a video for LeeSa. They’ve got a lot a good stuff there. This band are great, and the fun they have in the studio really comes through. @ersby, It’s an easy channel to get sucked into on YouTube. Are J Rabbit your favorites? I’m waiting for my favorite Yana to come out with something. I find her personality delightful and charming and her videos are adorable! @Jenna, Yana’s great. They all are. When I saw that there was a new video up this morning, I did a tiny “yahoo!” in my head. 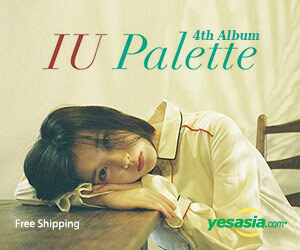 is there another way to buy the album other than YesAsia? Like… digital? @yam magazine, Actually, yes. Soribada has it available in their store too – http://bit.ly/i8cun4 That’s where I got it. You can preview it there too – but only for a certain portion of the song. @Jenna, OSM sauce. You should add the link to the post. By the way, should we contact Soribada to be affiliates or something? @yam magazine, that would be awesome. I’ll change the link really quick too. Saw them the first time in a concert program in KBS World on Phil cable tv a few days ago. They’re music is so relaxing and catchy that I had to find out about their music (the other Korean music I like is from Humming Urban Stereo–I wonder where the band is now).